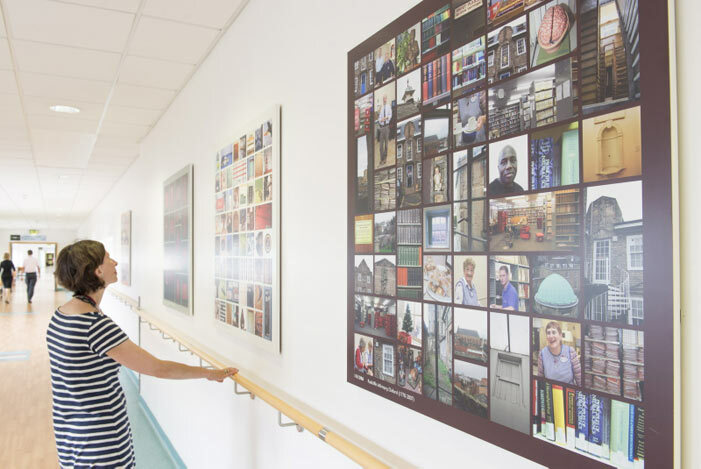 A series of artworks hang along the corridor to the West Wing from the main John Radcliffe building that relate to the Radcliffe Infirmary, the first hospital in Oxford, which was located in Jericho in the north of the city. Portraits of those who helped found the hospital and have contributed to its development have been restored and hang in a public corridor for all to see. Captions provide an insight into the characters of those who stare out at you. 'Last Days': as the hospital was closing down, photographer Gina Glover spent time with staff and wandering the hospital corridors, capturing details of the buildings and portraits of those who worked there. Her composite images, collages of found transparencies and pin-hole camera images of the boardroom are an evocative reminder of a well-loved institution. Nick White's images of the hospital date from his days working at the Radcliffe Infirmary as a medical photographer, and include a photograph of eighteenth and nineteenth century graffiti by those who built the hospital. 'Clouds come floating into my life, no longer to carry rain or usher storms, but to add colour to my sunset sky': Rabindranath Tagore. In 2010 the artist Nicky Hirst was commissioned to transform the Oxford Eye Hospital waiting areas into attractive and welcoming spaces. The inspiration for her work comes from three paintings in the Ashmolean Museum - by John Constable, William Turner and Samuel Palmer - all of which contain beautifully painted skies. Selecting sections of sky from each painting and enlarging them to create backdrops or murals, she has brought a colour and a sense of space into these small waitings rooms. A framed reproduction of each Ashmolean painting, the same size as the original, is hung on top of each skyscape. 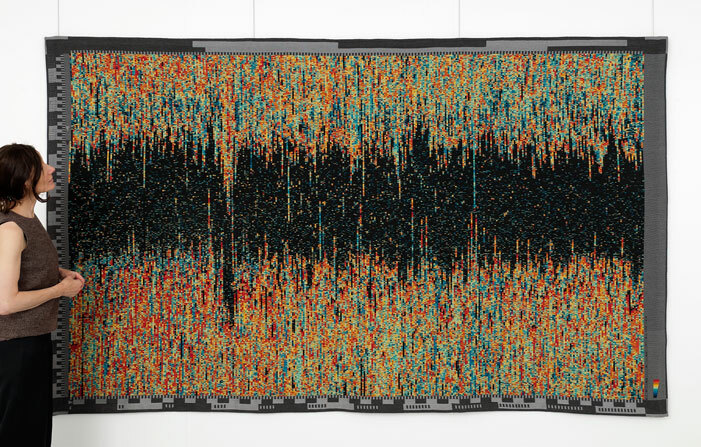 A large tapestry has been installed in the West Wing as part of a collaboration between artist Susan Morris and chronobiologist Katharina Wulff. Two further tapestries are installed in the Academic Centre. For further details please see 'Academic Centre'. 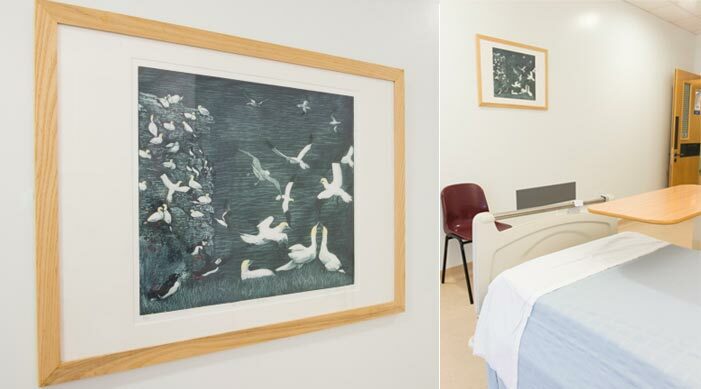 65 prints, photographs and paintings for single rooms in Neurosciences and Specialist Surgery wards have been purchased from artists living and working in Oxfordshire through an open selection process.